The mark of the Individualist - a prized possession for the man who prizes his machine! 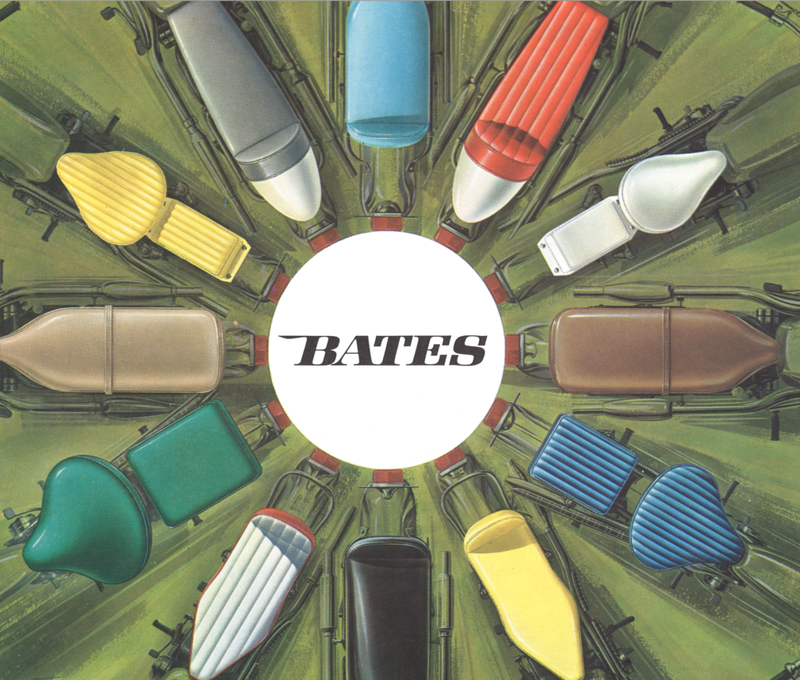 Even in a group you'll stand out with a Bates Solo! Just a man and his machine. 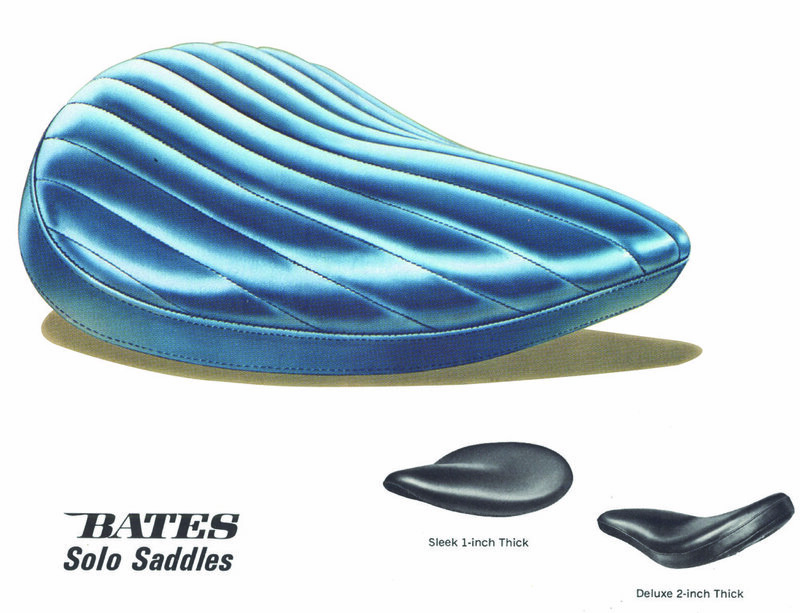 A Bates Solo Saddle lends an air of prestige to your cycle. Each is available with sleek 1 inch or deluxe 2 inch thick cushioning to suit your personal taste. Got an old, ratty seat? We can help you out! We'll re-upholster your seat with brand new foam and leather. Let us turn that old eyesore into something spectacular. Call for prices on your specific seat size. The perfect mate to a Bates Solo Saddle! Special handcrafted wedge design that gives a sharp custom look. Contoured for snug fit to fender. Molded foam cushioning and top-grain leather for long years of service and beauty. 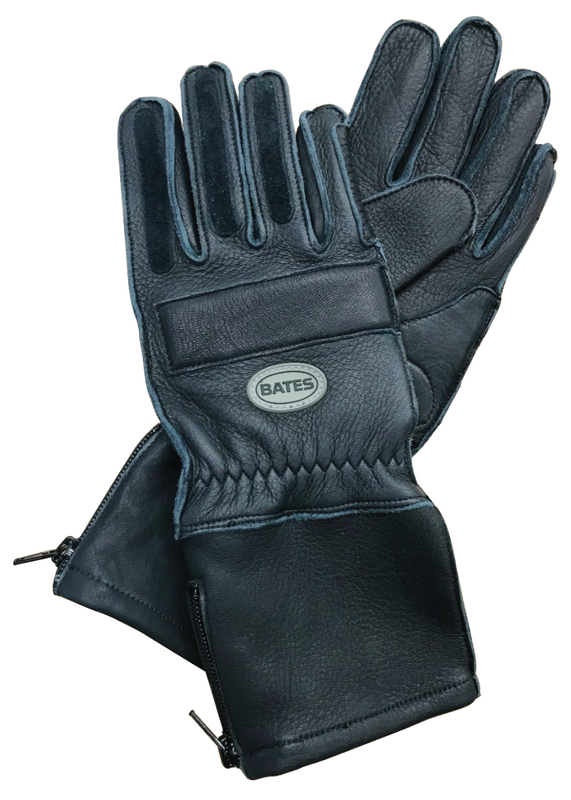 Due to the high demand of our other products, the production on our Deerskin gloves has been halted. We will start up production at a later date, but we are not taking orders for them currently. Thank you for the continued support of our products. 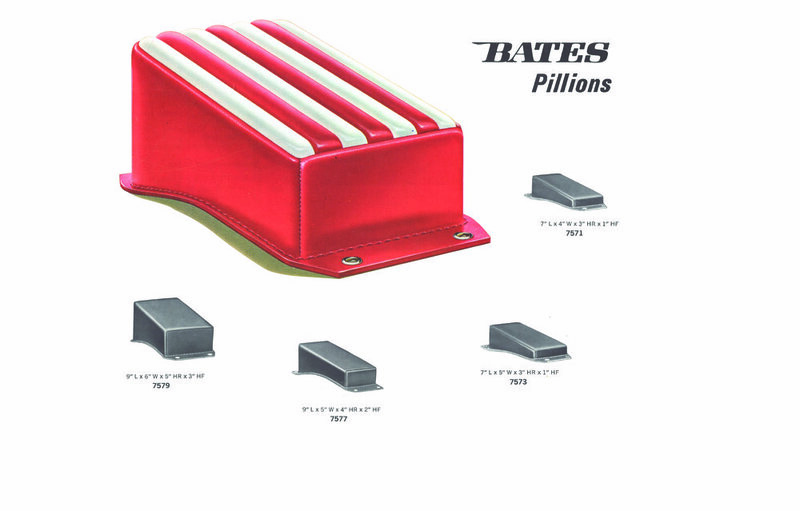 Long a favorite with all kinds of riders, this style is still being worn by many motorcyclists today. 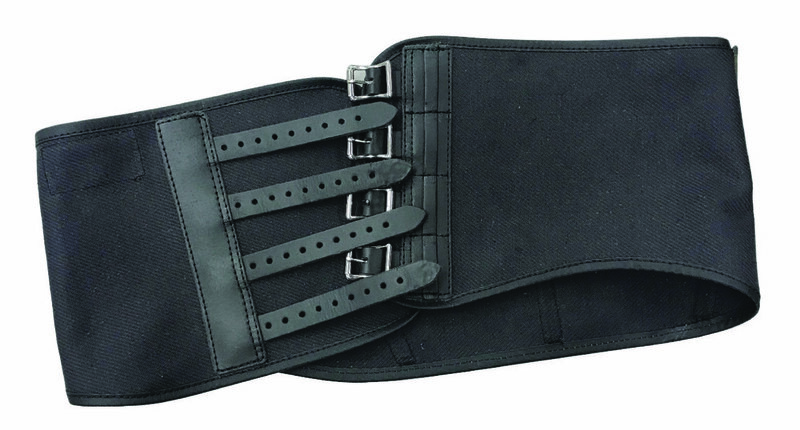 Buckles and straps help distribute pressure evenly around the midsection. Comes in even sizes from 24" through 46" waist. Larger sizes on special order at extra cost. Has +/- 2" of adjustment from states size.